HTML to PDF Converter Online | SelectPdf offers a powerful and free to use online html to pdf converter, as well as the possibility to add “download as pdf” buttons on your site. SelectPdf releases v2 of the HTML To PDF Online REST API. SelectPdf HTML To PDF Online REST API is a professional solution that lets you create PDF from web pages and raw HTML code in your applications. The API is easy to use and the integration takes only a few lines of code. Our HTML to PDF REST API platform will work with both desktops and mobile devices, no matter what OS you are using. Your apps can access any of our PDF converter features from desktops, servers or mobile devices. No changes are required to your server infrastructure. No software installation is needed. Choose from our pricing model based on your PDF Conversion needs. This entry was posted in HTML to PDF Converter Online, Releases HTML to PDF, Pdf Library for .NET and tagged html to pdf as service, html to pdf for the cloud, html to pdf rest api, rest api on November 6, 2015 by selectpdf. A new feature was added to the online html to pdf converter: the possibility to use the page ‘print’ CSS media type (instead of the default ‘screen’ media type). To use the feature with our html to pdf converter online, in our homepage, click on the ‘Options’ link and check the box ‘Use CSS media type Print’. The same feature is now available in our Html to Pdf Online API and also in the Save as Pdf free service using the use_css_print option. This entry was posted in HTML to PDF Converter Online, Releases HTML to PDF, Pdf Library for .NET, Save as Pdf and tagged free html to pdf, free html to pdf converter, new release, save as pdf link on October 15, 2015 by selectpdf. People need to access web pages on a regular basis. There are some pages which you may want to refer to on a daily basis. Going to the web page all the time may not make sense. If you have to use it daily, it makes sense to save it in the form of a document which you can access from your phone or laptop whenever you want. The best format to save it is in PDF. The biggest advantage of the PDF format is that it can be made secure by using password protection. You can check the document whenever you want without any restriction. For this, you need to get the web pages converted into the PDF format. This can best be done by making use of the HTML to PDF converter. When you search online, you will come across many converters from which you can opt for one which is quite popular and used by many people. This entry was posted in HTML to PDF Converter, HTML to PDF Converter Online and tagged free html to pdf, html to pdf online, pdf library on April 2, 2015 by selectpdf. Internet serves as a place wherein people of all spheres come and gather. It is a hub of knowledge wherein an individual gets access to all the important information. Rarely does it disappoint anyone who is looking for product or service related knowledge. There is no denying the fact that business today thrives on the web. It can be said that even the biggest brands cannot survive without sharing data with its competitors or with its associates. This necessitates the requirement of a portable document that works universally on all the systems without causing issues. Every individual whether working professionals or personal users cater to document formats that are portable and easily managed. As a professional convertor company, I understand the need had to preserve valuable data in a reliable and efficient way. For any business this is a globally accepted file format. Many people take this as the go-to medium of storing and sharing data. Html to PDF convertor plays a key role here, facilitating faster and cost effective conversions. This entry was posted in HTML to PDF Converter, HTML to PDF Converter Online, PDF LIBRARY for .NET, HTML to PDF Library and tagged free html to pdf converter, html to pdf online on March 27, 2015 by selectpdf. I am a proud executive of an online converter that helps people to convert their HTML documents into PDF very conveniently. Our wonderful professional journey took off when we observed consumers complaining about the conversion software available for the purpose. Many found it very difficult to work on an HTML file without converting it. Conversion of these files was highly necessary for storage and reference. Our research team found several converters with heavy installing process which eventually lowered the speed of user systems. Surveys conducted to rate their performances had far from positive outcomes. All of this led us to create our own version of the HTML to PDF converter that took less time in terms of installation and out of which users would derive more productive results. After conducting a thorough market study of the features applicable in this respect, we departed from the conventional to implement unique features to attract users to buy our product. With functions suited to support any individual or enterprise in business set ups, the product was ready to experience tough competition from its contenders on field. This entry was posted in HTML to PDF Converter Online and tagged free html to pdf converter, pdf library on March 19, 2015 by selectpdf. 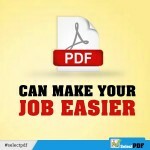 SelectPdf has announced the launch of SelectPdf Html To Pdf Converter Online, a powerful online service for easy and quick conversion of any web page to PDF: selectpdf.com. Its top advantages are the quality of the generated pdf documents, the speed and the simplicity. The user only needs to enter the web page URL and click on “Convert to PDF” button. In a few seconds, a pdf document that looks exactly like the original web page is created. And this, completely free of charge. This entry was posted in HTML to PDF Converter Online, Press Release and tagged free html to pdf, save as pdf link on March 9, 2015 by selectpdf. Allow your visitors to save/export your webpages as pdf. With Select.Pdf is very simple. Just add a link on your page and you are done. 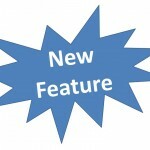 For more details and parameters description, take a look at Save as Pdf feature main page. This entry was posted in HTML to PDF Converter Online, Save as Pdf and tagged export to pdf button, export to pdf link, save as pdf button, save as pdf link on December 4, 2014 by selectpdf.